The Democrats are campaigning against the concentration of wealth at the top of the social pyramid. Translated from Bulgarian by Nelly Keavney. Edited by Elizabeth Cosgriff. The Democrats have been looking for aggressive solutions to the rising inequality in the U.S since the start of the presidential election campaign. The party's first presidential candidate, Sen. Elizabeth Warren, will propose a plan for a wealth tax for people with assets in excess of $50 million. The new measure would affect less than 0.1 percent of American households, but economists behind the measure argue that it will result in raising $2.75 trillion for the state budget over the next 10 years, reports The New York Times. The proposal, which perhaps would have been unheard-of 4 years ago, is indicative of the increasingly leftist strategy of the Democrats in the United States as an electoral strategy against Donald Trump. The measure will tax all people with assets in excess of $50 million with an annual rate of 2 percent, and those with assets of more than $1 billion with 3 percent. No asset will be excluded − the Democrats believe that capital and inheritance are not taxed enough in comparison with the personal income of Americans. The plan also involves increased funding for the Internal Revenue Service in order to keep up with the more rigorous and reinforced inspections required for its implementation. The Democrats are campaigning against the concentration of wealth at the top of the social pyramid, as they believe that they will be able to finance several things with the tax revenue − universal preschool, over $1 trillion for public infrastructure investments and programs for student debt relief. The measure that Warren will propose as a presidential candidate is breaking the old taboos of the Democratic Party. The traditional fear of being perceived as the party that "taxes and spends" seems to have taken a backseat compared to next year's elections. The Democrats are traditionally more concerned about social inequalities, but their rhetoric has visibly increased since Trump passed the Republican package with tax incentives. Warren's measure also received support from former advisers from Barack Obama's National Economic Council. While it is now impossible for the wealth tax to be voted for while there is a Republican president and Senate, this is an important pre-election signal that the party is going left in its struggle for identity and votes against Trump. Another Democratic voters’ favorite, the young Congresswoman Alexandria Ocasio-Cortez, enthusiastically speaks to the media about the introduction of a 70 percent tax on annual income over $10 million. During the Democratic campaign for the midterm elections in November, the fight against inequality and ensuring universal healthcare were the main platforms for most of the Democratic candidates. The left-wing policies and ideas of Bernie Sanders, who was seen as a radical by key Democratic figures two years ago, are becoming widely accepted in the mission to create a platform that can defy Trump. Is This an Aggressive Move with Undesirable Consequences? 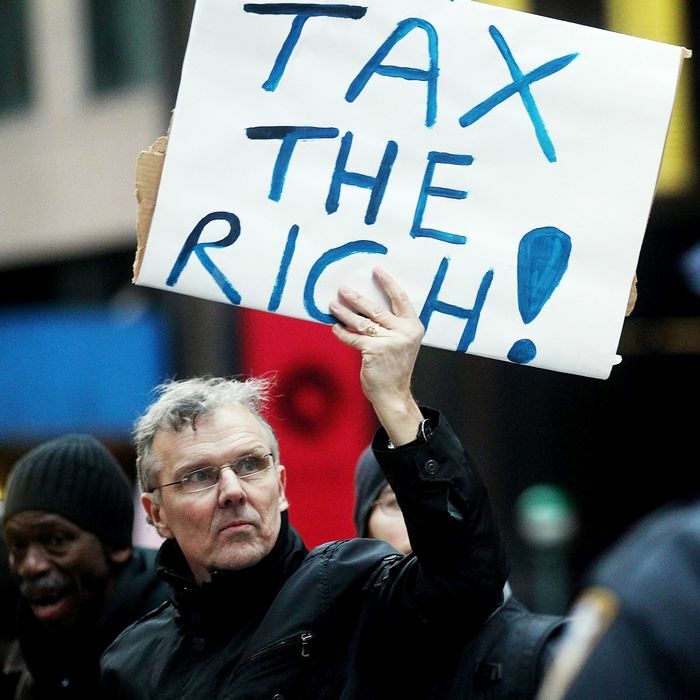 Business associations and wealthy Americans emphasize that the wealth tax is a misguided measure with undesirable consequences, which will give a disproportionate blow to investment capital, slowing business growth and capital loss for the country. The right-wing think tank Tax Foundation warns in The Washington Post that capital accumulation is a key driver of economic growth and that wealth inequality does not harm the economy, but promotes taking on more entrepreneurial risks. Kyle Pomerleau, an expert from the Foundation, warns in The New York Times that such a tax will be very difficult to actually implement and most likely will bring in much less than the estimated $2.75 trillion, or will even lead to state revenue losses depending on how much capital and business are going to leave the United States as a result. Behind the development of the tax are two left-wing economists from the University of California, Berkeley, Emmanuel Saez and Gabriel Zucman. The proposed tax rates on wealth are particularly high, and only Spain applies stricter rates. Jeff Bezos, the richest man in the world, for example, would have to pay $4 billion more taxes per year, at his current wealth estimated at $138 billion. The U.S. would be only the fourth country in the Organisation for Economic Co-operation and Development to apply such a measure after France abandoned its own wealth tax last year (due to massive capital flight during its implementation). Saez admits that this measure is particularly aggressive and direct, but believes that it is an absolutely necessary decision to tackle the rising inequality in the United States. The two economists point out that today the top 0.1 percent of the population owns more than 20 percent of all assets in the U.S − twice the market share since 1985. At the same time, the share of the bottom 90 percent fell from 40 percent in 1985 to 25 percent today.